Hammers! Nails! Safety goggles! 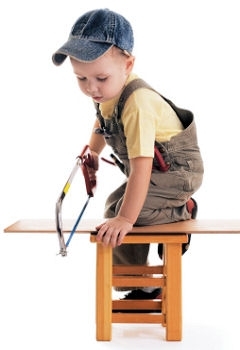 Give your child the opportunity to explore woodworking with our knowledgeable instructor. Kids will learn the basics of woodworking, including how to use safety equipment when working with tools, and will develop skills they can use throughout their lives. This class is for kids ages 10-14. Please see a Member Service Representative at the front desk of the YMCA of Jefferson County or click the link below. MEMBER SUPPORT: The Olympic Peninsula YMCA is a nonprofit organization. We work side by side with our neighbors to ensure that everyone, regardless of gender, income or background, has the opportunity to live life to the fullest. Thanks to he generosity of the local community, the Y offers Member Support to any individual or family who needs a little extra help.